No parent ever wants to think about being in a position to hire a birth injury lawyer. Unfortunately, tragedy can strike anyone. For every 1000 births, seven newborns will sustain injury during labor or childbirth. When this happens, parents often face major emotional, financial, and legal hurdles. Because these injuries are often preventable, it’s important that anyone responsible be held accountable. At The Rothenberg Law Firm LLP, our team of Pennsylvania birth injury lawyers have spent decades helping parents in the Philadelphia area get the compensation they deserve. Our compassionate birth injury claims lawyers understand how emotionally difficult this experience can be. Our PA birth injury claims lawyers can help relieve the emotional and financial burdens parents face after a newborn sustains an injury during birth. Not only do we provide effective representation, but our Philadelphia birth injury attorneys also work hard to treat the situation with the degree of sensitivity it deserves. Birth injuries like a brachial plexus injury and others can technically occur before, after, and during the entire childbirth process, from the beginnings of labor to after the delivery. There are numerous reasons they may occur. This is true even when a mother has had an otherwise healthy pregnancy. Medical professionals fail to adequately prepare for delivery. Medical professionals fail to address signs of distress or medical complications in a baby. The birth mother exposes the fetus to harmful workplace chemicals. Prescription drugs taken by the birth mother harm the fetus. Excessive force is used by a medical professional; for example, using forceps or other strong tools may cause harm. Nurses, midwives, or doctors providing negligent care during labor and delivery. 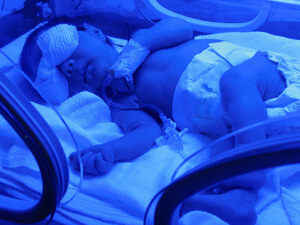 Insufficient oxygen reaching the baby’s brain during labor and delivery. Attempting to deliver a baby vaginally when its high birth weight; doing so is typically unsafe. The baby does not present in the head first position during delivery, which may result in harm. How Can a Philadelphia Birth Injury Claims Attorney Help? If your child sustained a birth injury – such as a brachial plexus injury – in the Philadelphia area, we know how difficult these circumstances can be. That’s why we recommend speaking with a Pennsylvania birth injury lawyer at our firm. If the injury resulted from someone else’s actions or negligence, we’ll work hard to secure the compensation you deserve. This can play a major role in helping you make medical payments you may have incurred as a result of the unexpected injury. To schedule a consultation with a Philadelphia birth injury claims lawyer, call The Rothenberg Law Firm at 1-800-624-8888 or submit a free case evaluation online. The initial consultation is always free. If we decide to take on your case, we operate on a contingency fee basis. That simply means our birth injury claims attorneys will never charge you any legal fees until they’re successful in securing compensation first. It’s worth noting that the Statute of Limitations requires you to file a lawsuit by a set deadline. Get in touch with our team of Pennsylvania birth injury lawyers now to avoid waiving your right to compensation for your child’s brachial plexus injury or other childbirth affliction.